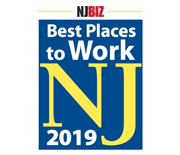 PARAMUS, N.J. (May, 2015) – Kreinces Rollins & Shanker CPAs (krscpas.com) has been named one of the 2015 Best Places to Work in New Jersey by NJBIZ. The Paramus, NJ-based firm was rated No. 5 in the small/medium category in this awards program that honors the top places of employment in New Jersey. The NJBIZ Best Places to Work in New Jersey program aims to identify, recognize and honor the top places of employment in the Garden State that benefit the economy, its workforce and businesses. 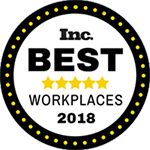 Judging criteria include an evaluation of the company’s workplace policies, practices, philosophy, systems, and demographics, in addition to measuring the employee experience through staff surveys. On April 30, KRS staff members Sasha Ali and Erica Calella attended the Best Places to Work awards reception where the final rankings were revealed. Nearly 900 honorees attended, representing 100 large, medium, and small companies located throughout New Jersey. For more information on the tax preparation, accounting and bookkeeping services provided by KRS, please visit www.krscpas.com or call (201) 655-7411. For more information on the 2016 Best Places to Work in New Jersey program, please visit www.bestplacestoworkinnj.com. Paramus, New Jersey-based Kreinces Rollins & Shanker Certified Public Accountants (KRS) are known for being responsive and following through for clients. The firm’s goal is to make it as easy as possible for clients to get the advice and counsel needed, so they can focus on living their lives and running their businesses. Partners Brad Kreinces, Maria Rollins, and Jerry Shanker started KRS a decade ago with an entrepreneurial spirit, high standards, and solution-oriented expertise. They believe that clients benefit the most when they have a trusting working relationship with an accountant who “has their back” in both personal and business matters. 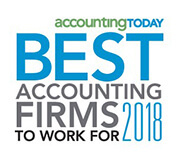 KRS has been honored by NJBIZ as one of the Best Places to Work in New Jersey for five consecutive years, and has also been named one of the Best Firms to Work For by Accounting Today.